In anticipation of the San Francisco show I scored a lot containing some beautiful Conway Stewarts, a few Parkers, some smaller makers, and this bad boy. I haven't touched it yet as there are a bunch I need to restore, but this is exciting and will clean up really nicely. A fine example and I wanted to share it. Dipped the nib and played around. Oh my. Very flexible LF oblique stub. 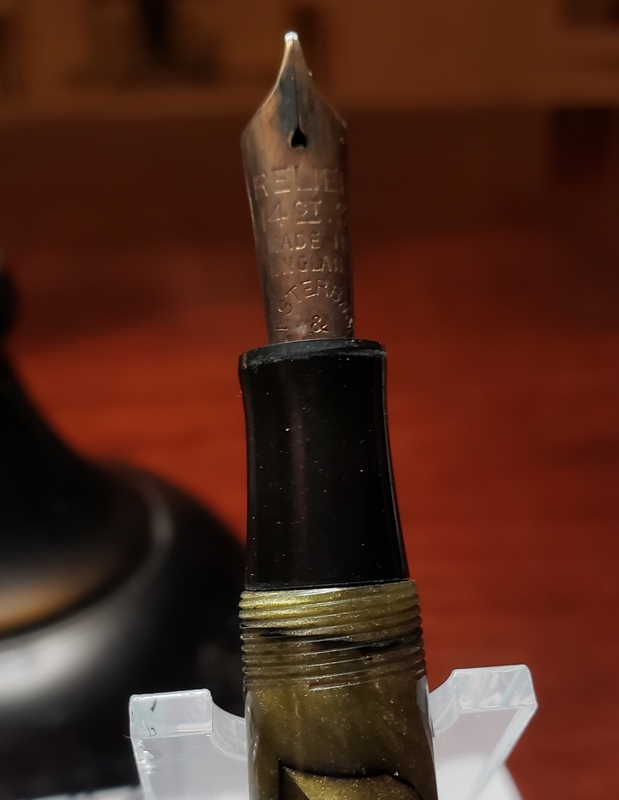 Fun smooth nib.